All the more when I work night. That girl spends too long at market. Who will teach her what is right? So we know that she is bad. Were lavished at her funeral. A reflection on “A Freedom Song”: I first read this poem about “Atieno” many years ago while I had a spell in Kenya. It’s one of the most moving things I’ve ever read. I’ve come back to it now, and all these years later it still hasn’t lost its power. We have so much work to do in this world, and it is things like this that teach us what we need to do. Read it high school in 1984. A master piece of art. The poem is live.very touching and realistic. I have been hearing about it from friends but today, I have decided to look for it, and here it is. Anyway, can someone provide me with a feminist reading of this poem? The poem is well for me..literature keeps me far from original world.. I like the poem because it ridicules the social follies that take place in the society. Great piece, I always teach this poem to my students and they enjoy it to the maximum. The poem is really touchable and can feel it. This poem is a masterpiece, first read it while in form two, it personifies domestic serfdom and inherent lack of goodwill by some guardians. 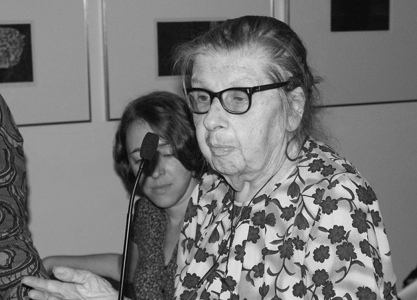 Marjorie Oludhe Macgoye is one of the most prolific women writers, not only in Kenya, but also in Africa. She has distinguished herself as a writer of novels, poetry, and children’s stories. She was born in Southampton, England, in 1928 and came to Kenya as a missionary bookseller in 1954. She married D.G.W. Macgoye in 1960 and subsequently integrated into her husband’s extended family and the Luo community. This feature is well manifested in her literary works which have been acknowledged all over the world. Coming to Birth won the Sinclair Prize for fiction in 1986, while Homing In won second place in the Jomo Kenyatta Prize for Literature in 1985.